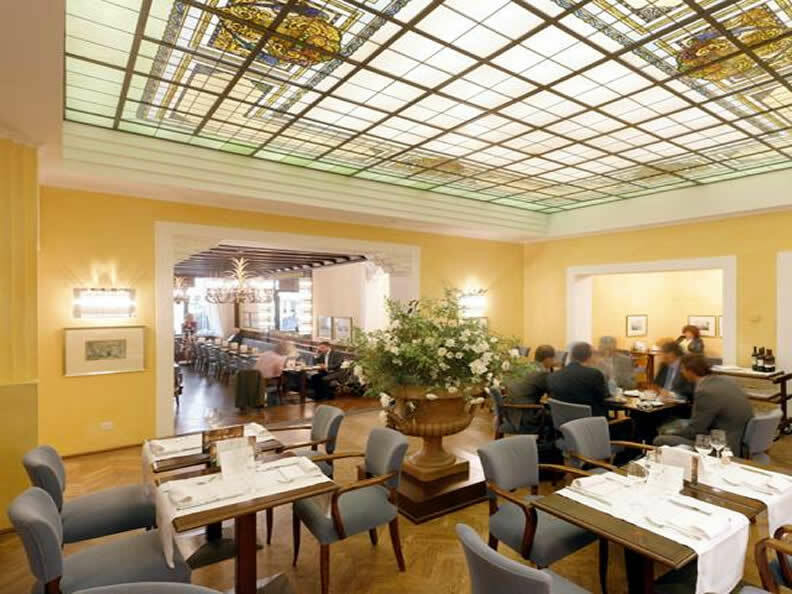 The Ristorante Grand Café Al Porto is " Lugano's salon since 1803". 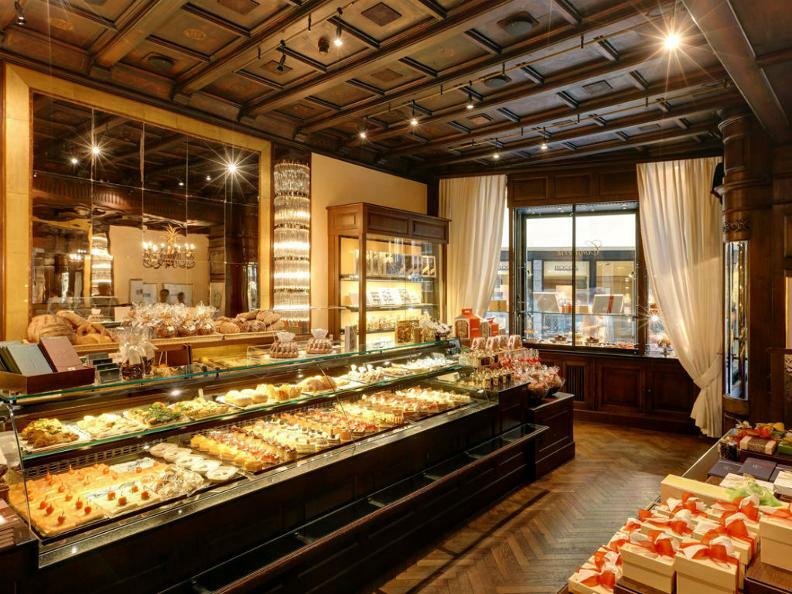 Located in the heart of the city, it is the favourite venue for get-togethers with friends, a drink, a business lunch or to enjoy the Confiserie Al Porto pastry and chocolate creations. Delicious dishes with an Italian and international touch, attractive business lunches and creative menus for events and celebrations, delight the palate at any time of the day. 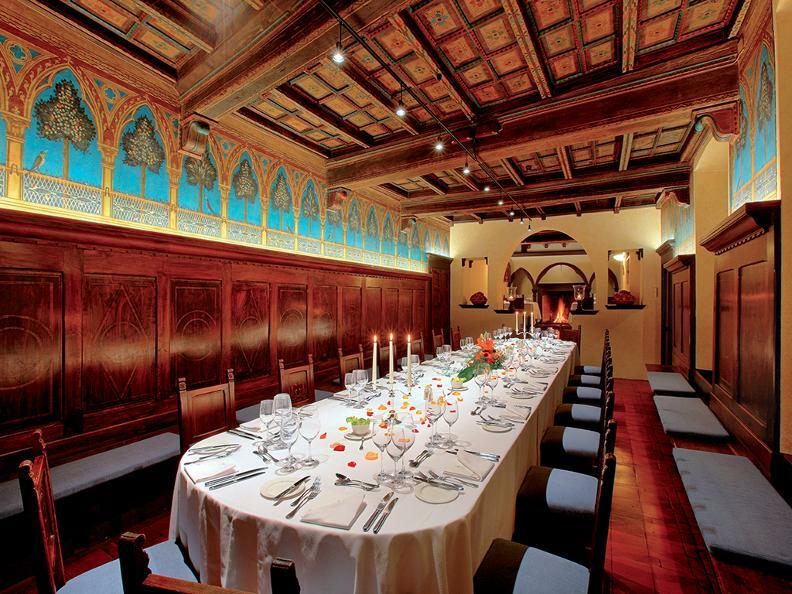 The elegantly appointed rooms provide an ideal setting for meetings, receptions and banquets. They can be reserved either during the day for 2-40 persons or in the evening for 20-80 guests. 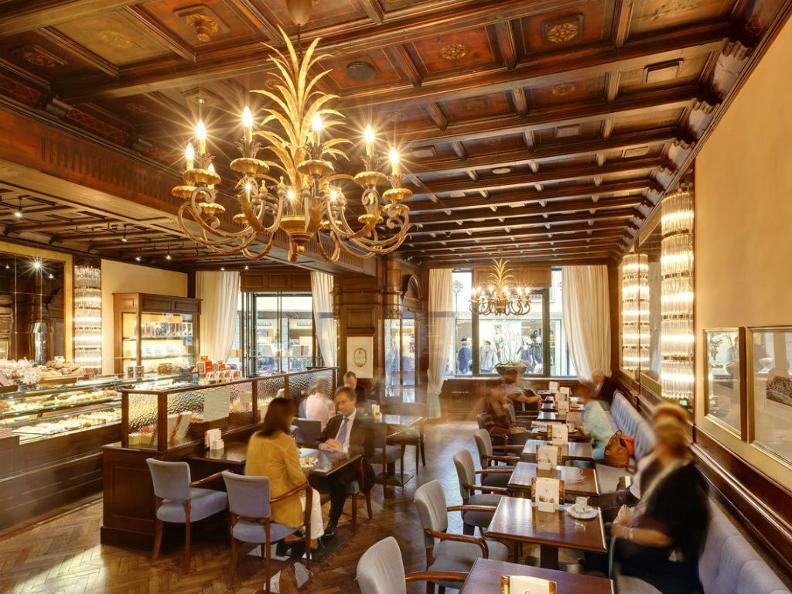 The jewel of the Grand Café Al Porto is the Florentine Cenacolo, originally the dining hall of a mediaeval convent. The wooden ceiling, is an original of the 16th century, while the frescoes in the magnificent "Cenacolo Fiorentino", are attributed to the painter Carlo Bonafedi. 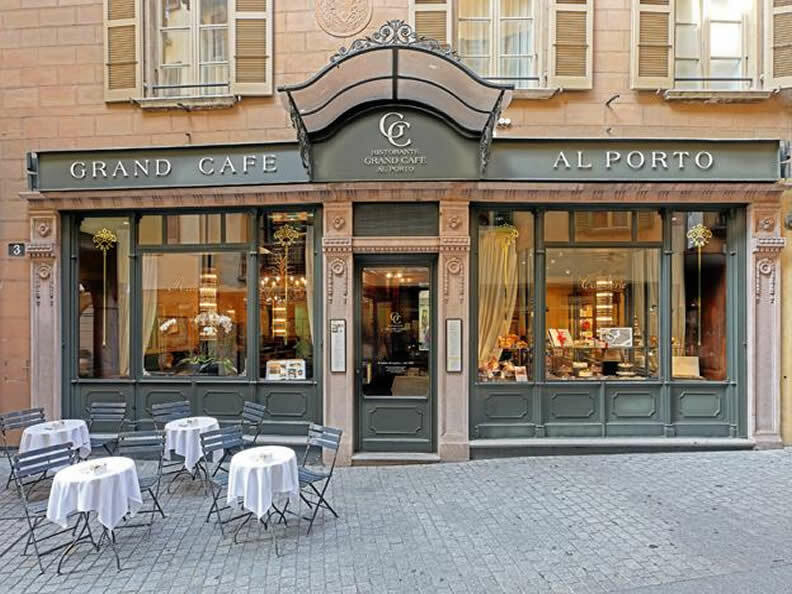 The Grand Café Al Porto restaurant is open from Monday to Saturday from 8 a.m. until 6.30 p.m. It can be reserved in the evening for receptions and banquets for 20 to 80 persons.